Shiraz changes line on election: will back Left Unity! I have, personally, been through what might be called a “dark night of the soul“, agonising over whether to support Left Unity in the general election. The Shiraz team has been in emergency session all day, thrashing out our considered position. We’d have liked to have got the news to you all earlier today (we aimed for 12 noon), but it hasn’t been possible, due to the intense and sometime heated nature of our internal debate. Anyway, this inspirational report (below) in today’s Morning Star clinched it for us – we’re backing Left Unity! LEFT Unity is contesting the election to keep socialist ideas alive, Ken Loach said yesterday as he launched the party’s manifesto at a London squat. The filmmaker, whose spirit of 1945 documentary celebrated the achievements of Labour’s post-war government, said his party now carried that flame. He said: “Left Unity is against the logic of the market. It’s for the interests of the people. And therefore it’s different. Despite insisting that he was “only a rank-and-file member,” Mr Loach is Left Unity’s highest profile supporter. He set out the case for the party he helped form in 2013 in a polemic at a Soho squat, where journalists sat on the floor to listen alongside activists. It could have provided a set for one of Mr Loach’s cult social-realist films and was chosen to highlight Britain’s social housing crisis. Squatters cheered a manifesto pledge given by principal speaker Kate Hudson to legalise squatting as part of the solution. Mr Loach said Left Unity would draw strength — and votes — from the “huge anger, alienation, fear and hunger” felt by people outside the Westminster bubble. He said they had been abandoned by Labour in a wide-ranging attack on Ed Miliband’s party. His criticism came as Labour launched it’s work manifesto with a pledge to ban bosses keeping workers on zero hour contracts for more than 12 weeks. Labour MP Ian Lavery, chair of the party’s Trade Union Group, said the announcement “put aside all doubt” about its commitment to working people. He told the Star: “To state that unions and the Labour party do not represent working people is an insult when the labour movement fights to protect workers’ rights, stop exploitation and generally better the lives of working people on a daily basis. Left Unity candidates will be on the ballot paper in 10 constituencies. The Star asked four of squat’s residents whether they would vote for the party, but none confirmed they would. Farage and Salmond: better together? ‘Leaving the EU is about making Britain more successful. At its most basic, it is the ability to take our own decisions. No one cares more about our success than the people who live here and that, ultimately, is why leaving the EU is the best choice for our future. These rousing passages are a straightforward encapsulation of the Ukip credo: the kind of thing that spouts easily from Nigel Farage’s lips. They represent the argument the party put before voters in the last European election, where it ended up with more MEPs than any other party. However, the words aren’t Ukip’s. They are taken from the official website of the SNP. I have simply replaced ‘independence’ with ‘leaving the EU’, and ‘Scotland’ with ‘Britain’. Restore the originals and you have the exact beliefs of Alex Salmond. As both the Scottish and EU referendum debates develop, the similarities in the cases being advanced by the SNP and Ukip become ever more striking. Both, for example, are at pains to insist their desire for a breach is not based on any suspicion towards or distaste for ‘the other’, whether that ‘other’ be French or English. The dark history of nationalism makes this a necessity. An anti-EU campaigner will often tell you that he ‘adores Europe’, owns a cottage in the Dordogne and is married to a Belgian or a Luxembourger. A Nat will profess his love for holidays in Cornwall and point out that his favourite auntie lives in Corby. EU better-off-outers will explain that a Briton has different political and cultural preferences to those of an Italian or a Dane, valid though those other preferences may be. There is no authentic common feeling between us. So why does it make sense to pool our decision-making? Similarly, an SNP politician will say that England and Scotland have taken different ideological paths – one a hop to the Right, the other a skip to the Left. Our shared identity has splintered. It makes practical and democratic sense to break apart the Union and create separate political entities. Both like to talk of creating a new, smaller, sleeker nirvana-state – let’s be Sweden, or Norway, or Switzerland, they say. Let’s be anything other than what we are. Nelson Mandela was a big man and his long life was punctuated by huge personal and political achievements. Foremost among his personal achievements was the dignity and apparent lack of bitterness with which he emerged from 27 years of imprisonment by the apartheid regime in South Africa. He had the personal grace to embody the long struggle against racism and for democracy when he re-entered the public sphere in 1990 and by nearly all accounts he set an example of leadership during his own long years in gaol. During this period Mandela was himself rather forgotten for much of the time, out of sight in the 1960s, eclipsed in the 1970s by the Black Consciousness Movement and Steve Biko, denounced in the 1980s by various world leaders (including Thatcher, Reagan and Bush Senior) as a terrorist, but increasingly in this period lionised in political and cultural circles. Who can forget Hugh Masekela’s musical dedication to Mandela! Foremost among his political achievements was of course the role he played in steering South Africa from apartheid to democracy, from a state in which to be black was to be less than human to one man, one woman, one vote. This was no easy road. There was violence from members of the old regime, from Zulu nationalists in the Inkatha Movement, from ‘white’ ultra-nationalist in the AWB, and not least from among some black radicals (including Mandela’s wife, WInnie) within the black townships. Once in power as the first President of the new South Africa Mandela formed a government of National Unity with the Afrikaner Nationalists and Inkatha, oversaw the drafting of the new constitution including a strong Bill of Rights, and gave the go-ahead for Bishop Tutu to establish his famous Truth and Reconciliation Commission. One of the many iconic moments of the Rainbow Nation Mandela sought to establish was presenting the Rugby World Cup trophy, held in South Africa, to the Springboks captain Francois Peinaar. Rugby was a generally ‘white’ sport and those of us who remember the anti-apartheid demonstrations we held against the visiting Springboks will understand the great symbolism of this occasion. “We the people of South Africa declare for all our country: That South Africa belongs to all who live in it, black and white, and that no government can claim authority unless it is based on the will of the people”. In a context of plural political movements vying for popular support, the notion of ‘we the people’ had obvious political advantages for the ANC, but what was more important was that it set a basically multi-racial path for the liberation movement. There has been debate over whether Mandela ever joined the South African Communist Party, which had of course strong Soviet connections, but whether or not he did join, he worked closely with some of its members. What first thrust Mandela into international fame, his first moment of glory, was perhaps his least auspicious contribution. He was involved in the late 1950s in the turn to armed struggle, the establishment of an armed wing of the ANC, known as MK or Umkhonto We Sizwe, and the reorganisation of the party in accordance with the ‘M-Plan’, setting up a cell structure for military operations. Mandela was acquitted at the long drawn out Treason Trial of 1956-61, but he was then convicted of ‘sabotage’ at the Rivonia Trial in 1962 and sentenced to life imprisonment. We should acknowledge that the so-called turn to armed struggle was a disaster. The bombing campaigns were ineffective and those involved in them were quickly rounded up. More importantly, the mass democratic campaigns, which rocked the apartheid regime in the latter half of the 1950s, all quickly collapsed as sabotage, secrecy and vanguardism took over. The murder by the police of 69 protesters at Sharpeville – a protest organised by the PAC, a rival organisation to the ANC – was treated by the ANC / SACP leadership as a sign that peaceful protest was no longer possible. However, it was also a sign that the mass democratic movement as a whole – which comprised community movements, trade union movements, women’s movements and even tribal peasant movements – was seriously impacting on the apartheid regime. After the turn to armed struggle there ensued a decade of state repression and intensified racist legislation, marked by the defeat of popular struggles. I do not think this downturn can be separated from the ill advisedness of the ‘turn’ Mandela helped to implement. Mandela was inspired, as many radicals were in that period, by Castro’s 26th Movement, the example of Che Guevara, and by various armed African liberation movements. The long period of his prosecution in the Treason Trial may have cut him off from active involvement in the mass democratic movement (I am not sure of this). In any event the strategic turn taken by the ANC, which Mandela supported and personified, probably had more to do with the wider strategic turn enforced by leaders of the Soviet Union on most Communist Parties they supported, than with any local conditions. Mandela’s ringing speech at the Rivonia Trial – “I was the symbol of justice in the court of oppression” – was undoubtedly true but of course did not address the democratic and class issues involved in turning away from mass struggle. There was always a patrician and intolerant edge to the ANC movement, but it was the turn to violence in 1961 that for many years broke its connection with grass-roots democracy. The protests that broke out in the mid-1970s, a decade and a half after Sharpeville, were conducted more in the name of Black Consciousness and Steve Biko than the ANC and Mandela. In the 1980s the ANC began to get back into the picture internationally as a largely exiled movement, but the internal movement of new non-racial trade unions (especially under the umbrella of FOSATU) and new community movements (especially under the umbrella of the United Democratic Front) showed a considerable degree of independence from the ANC–SACP alliance. In the UK I remember ANC-SACP people in the anti-apartheid movement denouncing in this period the new industrial trade unions and their solidarity supporters in the UK, including myself, as queering the pitch of the ‘official’ trade union wing of the movement, SACTU, or worse as collaborators. Once Mandela was out of prison in 1990, his conciliatory strengths were manifold: he certainly deserved the Nobel Peace Prize in 1993. There was at the time violence in the air – the murder of Chris Hani, massacres at Sebokeng and at Shell House, the AWB car bombs, the ‘necklacing’ of ‘collaborators’ committed by young activists in the townships, even the tortures and murders committed by the Winnie Mandela’s thuggish ‘United Football Club’. Directly or indirectly, Mandela helped to resolve tensions between the independent unions and the ANC and the former head of the Mineworkers Union Cyril Ramapoza led the ANC delegation into negotiations with the government. Mandela was a force for reconciliation but this did not mean that he simply gave in to stronger forces. He was strongly critical of de Klerk, the leader of the Afrikaner Nationalists, when the latter granted amnesty to the police and defended his old Defence Minister, Malan. However, reconciliation meant not only reconciling oneself to the past but also reconciling oneself to the present – and to forces that would keep the great majority of ordinary black people in poverty and subjection. Strengths can turn into weaknesses and this is what happened to Mandela’s undoubted strengths. The ambitious social and economic plans of the ANC-SACP, articulated in the election campaign of 1994 in the Reconstruction and Development Programme, were frustrated by business friendly policies (tight budgets, fee trade, debt responsibility, etc. ), the allure of unheard of riches corrupting all manner of officials, and an increasingly evident anti-pluralist streak within the ANC and SACP themselves. The trade union independence so carefully built up in the 1980s was compromised by its alliance with the ANC and SACP in the 1990s. By the time Mandela decided not to stand again as President in 1999, there were pronounced signs of growing unemployment, inequality and governmental authoritarianism – as well as the peculiarities of certain policy traits like Mbeki’s almost unbelievable refusal to recognise the existence of AIDS or the importance of anti-viral treatment. Mandela was not uncritical of his own role, notably in relation to the whole question of AIDS, but whether or not he spoke out publicly on these issues, he remained a force for decency in the background of a state that was becoming disturbingly violent, anti-egalitarian and grasping. The police murder of 34 striking miners at Marikana mine, owned by a British company Lonmin, one of whose well paid directors is Cyril Ramapoza, the former leader of the Mineworkers Union and Deputy leader of the ANC, and its cover up and normalisation by leading figures in the ANC-SACP-COSATU alliance, is just one exemplar. Mandela will be missed today not because he was a perfect role model, and he was certainly no saint, but because he knew what is important in life and represented something authentic in the South African revolutionary tradition. Now that he has gone, I wonder what is in store for the revolution, which his presence did much to foster and civilise but which his aura served to insulate from the normal processes of intellectual and political criticism. The snappily-named ‘Transparency of Lobbying Bill Non Party Campaigning and Trade Union Administration Bill’ gets its second reading in Parliament today. It is ironic that a piece of legislation ostensibly intended to clean up politics, will, in reality undermine basic liberties and – in particular – trade union freedom. The TUC has expressed serious concerns about the far – reaching consequences of the government’s Transparency of Lobbying, Non Party Campaigning and Trade Union Administration Bill, due for a second reading next week. Such concern is hardly surprising, for this is a Bill that not only represents a threat to basic liberties generally, but to trade union freedom specifically. So much for the Illiberal Democrats, who promised that they would be the guardians of freedom when in government. The Bill presents two major threats to trade unions. Here the concern is with the consequences for trade union electoral freedom, which is not intended to diminish the other threat which relates to even greater – and yet more intolerable – State supervision of trade union membership lists. But so far as electoral freedom is concerned, the strategy is clear – previous Tory governments having stripped trade unions of their industrial freedoms, the Coalition is now set on stripping trade unions of their political freedoms as well, continuing in the illiberal vein that has already produced secret courts and the harassment of journalists. The proposed new restrictions are designed to silence union election campaigning, though as the TUC has pointed out, they have much wider implications. It is a nasty and cynical attempt at self-preservation, the law being used purely as an instrument of partisan self-interest. But although the impact on trade union political freedom is likely to be far-reaching and (as the TUC pointed out last week) wide – ranging, such concerns should not divert attention from the Bill’s central purpose, which is clearly and unequivocally to weaken trade union support for the Labour party at the election in 2015. Trade unions take part in elections in a number of ways. First, they make substantial donations to the Labour party to help it with its election campaigns. But secondly, some trade unions – notably UNISON – may run their own national campaigns independently of the Labour party. Other unions will provide grass – roots support to the Labour party at constituency level, helping with the national campaign and assisting Labour parliamentary candidates. 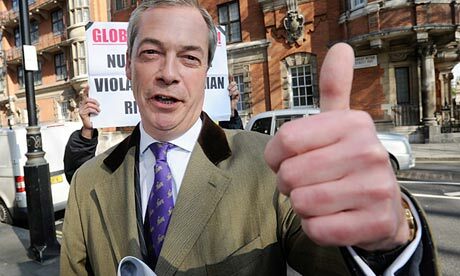 Some unions will also make contributions to organisations campaigning against racism and the BNP. Where trade unions engage in their own campaigns nationally or locally they are already subject to tight legal controls. As ‘third parties’ for the purposes of election law, these controls apply to ‘controlled expenditure’ – a term used to describe national election campaign costs, capped at just under £1 million for each union. I don’t always agree with Norm, but there can be no doubting his integrity, wit and wisdom. His long-running blog is a must-read for anyone who values rigorous, original thinking from a critical-Marxist and always vigorously humanist standpoint. Like me, he also enjoys jazz and Westerns. Since starting this blog in late July 2003, I have tried to update it regularly, my aim being to have something new most days and, ideally, more than one post a day. I have succeeded in meeting this objective for much of the time, though with exceptions: when following the Ashes in Australia during the 2006-7 series (a wonderful lifetime experience); on infrequent holidays; during the odd weekend busy seeing family or friends; and some days just because I couldn’t think of anything I wanted to blog about. However, a different obstacle has lately arisen for me, which explains some of the falling off readers may have noticed, and I’ve decided to make the reason for it public because I can no longer guarantee the same frequency of posting as before. Since March of this year I have become ill. I was first diagnosed with early prostate cancer at the beginning of 2003, not long before starting normblog. Though my initial treatment failed to cure the condition, I have remained asymptomatic and in good health for 10 years under the first-rate care of Christie Hospital in Manchester and the treatments recommended and implemented there. But this decade of good fortune ran out for me at the end of February this year when I learned that the cancer had now spread and, simultaneously, I started to suffer the effects of that. For the last few days I’ve been not only ill but also in hospital – though I hope it won’t be for very long. I am now under the outstanding medical eye and hand of Addenbrooke’s in Cambridge. I will just say here, in passing, that my own personal experience of cancer and the treatment of it (as also of my diabetic condition, which is a more longstanding one still) have shown me nothing but the excellence of the NHS. … I mean to carry on blogging to the best of my ability for as long as I can. Blogging has become part of the work – or a kind of adjunct to it – and also of the play that are important in my life. But I can’t promise the same regularity as before. Sometimes I may manage it, but it will depend on the outcome of the treatments still available to me. David Hirsh at Engage has posted a list of favourite Normblog links, all of which bear re-reading. The Soupy One posted a list of his favroutes on Twitter, which I reproduce below. I’m sure others are doing the same. Norman Geras – a pioneer of political blogging (and therefore influential in opening up on-line audiences to left-wing cranks and crackpots like me), but also a profound thinker of Marxism and its limits, and an inspiration to those of us who like to think that left-wing values of justice and freedom are compatible with moral sense. Bob from Brockley has tagged me, among others, for the exercise of suggesting five ideas for the left that are a good influence, five that are a bad influence, and five that aren’t influential enough. I plead the season and the need to do some late Christmas shopping this afternoon as my reason for chickening out. As a token of goodwill towards the project, however, I comment below on one each of Bob’s own suggestions. National sovereignty Bob has down as a bad influence, and he has no trouble alluding to bad usages of that concept, such as the notion of a ‘clerical-fascist’s right to use his country as a personal fiefdom’. However, I disagree with Bob that the idea of sovereignty is a bad influence. Pending the discovery of some better way for groups of people to band together for mutual protection, the sharing of other social aims, resources and facilities, and the voluntary pursuit of common cultural ways, states based on national (or sometimes multi-national) collectivities are the best way we have. Maybe one day they will be replaced by a more effective global community, but that doesn’t look like happening any time soon. Maybe some different institutions than the state will in due course take over its functions. Meanwhile statelessness threatens those afflicted by it with a nightmare. Bob’s opening implication that the idea of sovereignty presupposes some metaphysical national ‘self’ doesn’t have to be accepted. All that sovereignty requires is some reality to the idea of a community of individuals sharing a common territory. Class analysis, Bob says, from once having been too all-encompassing on the left, at the expense of other types of identity, is now not influential enough. Without it the notion of social justice ‘goes adrift’. I agree. The one-state solution... Bob gives it the thumbs-up. 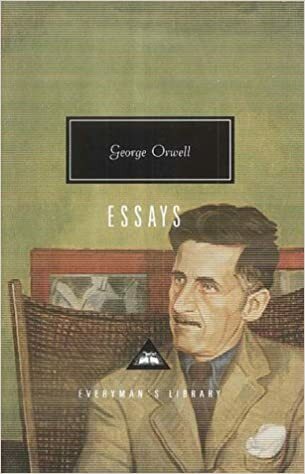 But, to my mind, he does so on the basis of a misplaced premise; which is (as I read him between the lines) that the idea could come to be accepted voluntarily by Israelis and Palestinians and thereby become consensual. If so, then well and good. But the two-state solution rests on the assumption that this consensus does not obtain, or obtain yet. While it doesn’t, a one-state solution can only be coercive and therefore violate the right to self-determination of one or both peoples. We need influential ideas for different possible states of affairs and not only for ones that look out of reach at the moment. Norm always makes me think again. UKIP: how far from fascism? The success of UKIP in this week’s local elections, hailed by Nigel Farage and his cheer-leaders in the right-wing press as a “game changer” means the left can no longer afford to shrug the party off as “just a distraction.” UKIP won 147 seats (of which 139 were gains) and averaged 25% of the vote in the wards where it stood. On the basis of these results, the BBC projected national share of the vote put Labour in the lead with 29% of the vote, the Tories second on 25% and UKIP third with 23%. The Lib Dems would trail with just 14%. Of course, these results may not carry over to a general election, especially as the vote was only in England (plus Anglesey), and excluded the main urban areas. Nevertheless, UKIP is clearly now a serious force in mainstream British electoral politics. So now seems a good time to consider what social forces UKIP represents, and especially its place on the populist far right of British politics. We republish below a remarkably prescient article from Searchlight magazine of June 2012, analysing the rise of UKIP and its links with the fascist and semi-fascist far right. The headline above this post is ours, not Searchlight‘s, by the way: their title for the article was UKIP at the Crossroads. Recent events have created a seemingly perfect storm for the UK Independence Party (UKIP), the right-wing populist eurosceptic party that has supplanted the British National Party as the main electoral force to the right of the Conservative Party. The economic chaos in the Eurozone, pressures on public finances in the struggling UK economy, widespread disillusionment with the mainstream parties and growing criticism of the European Court of Human Rights for its handling of terror suspect Abu Qatada all suggest that the time might be ripe for UKIP to make the transition from single-issue pressure group to successful populist party. The fact that UKIP has recently been polling close to the Liberal Democrats with 8% in recent national opinion polls certainly suggests that it is in a stronger position than ever before to emulate other populist radical right parties in Europe. Recalling the Commons and the Lords for “debates” on Thatcher yesterday was, of course, a grotesque act of political manipulation and well as an outrageous waste of money at this time of austerity. All 650 MPs were emailed with the message that they could claim up to £3,750 just for turning up. Peers could draw £300 for attendance. Then there are the tens of thousands for security and running costs as Parliament was not due back until Monday. Well done, you two: proper, serious and honest, reformists.